Join us for the exclusive Boise, Idaho premiere of showing of “Black Jack Pershing: Love and War” Boise Public Library main branch Saturday, October 20 at 2:00 pm in the Bingham Community Room. 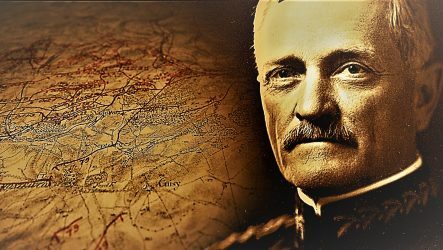 General Pershing commanded American troops that helped turn the battle and force a German surrender in World War I. A free showing of the award-winning film will be followed by a panel discussion on General Pershing and Idaho heroes of the “War to End All Wars.” The event is sponsored by the Idaho World War One Commission. Its mission is to educate Idahoans about our state and nation’s forgotten heroes of this important war. World War I’s 100th Anniversary of the Armistice will take place November 11, 2018 at 11:00 am.